Israeli soldiers arrested, on Friday at dawn, three Palestinians in the Balata refugee camp, east of Nablus city in the northern part of the West Bank, the Palestine News Network reported.The three were identified as Yasser al-Badrasawy, his brother Jamil, and his nephew Haitham. Local sources reported that the soldiers invaded the camp during early dawn hours, and broke into the houses of al-Badrasawy family members, before arresting the three men and taking them to an unknown destination. During the legislative elections in 2006, Yasser al-Badrasawy was a candidate running under the Hamas’ Change and Reform Bloc. 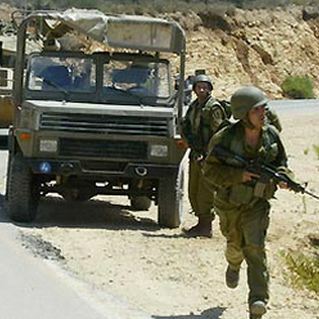 Israeli soldiers conduct ongoing invasions and arrests in several areas in the occupied West Bank. A recent report prepared and published by former detainee, specialist in detainees’ affairs, researcher Abdul-Nasser Farawna, revealed that there are approximately 5,000 Palestinian male detainees, and 11 female detainees, still held by Israel. The numbers gradually increase due to repeated invasion and arrests in the occupied territories.